Five people were sentenced to time in prison in Crawford County Common Pleas Court this week and one will spend Christmas in the county jail. * Cory Musselman, 26, Bucyrus, was sentenced to 30 months in prison after he admitted to violating the terms of his probation by using heroin, marijuana and cocaine. Musselman was placed on probation in 2014 after being convicted of robbery. * Shena D. Belcher, 27, Bucyrus, was sentenced to one year in prison on one count of trafficking in drugs and one year for trafficking in counterfeit drugs, both fifth-degree felonies. The sentences are to be served consecutively for a total of two years in prison. Leuthold also suspended Belcher’s driver’s license for six months, ordered her to pay a fine of $1,250 and to forfeit all drug-related property to the Bucyrus Police Department. * Joseph M.F. McDaniel II, 26, Galion, was sentenced to 11 months in prison after he admitted to using cocaine and heroin in November and failing a drug test by testing positive for cocaine and morphine while on community control. * Briona N. Rose, 21, Bucyrus, is heading to the Ohio Reformatory for Women in Marysville after admitting to possessing marijuana and drug paraphernalia on Dec. 9, while on community control. Leuthold sentenced Rose to 10 months in prison. She was placed on probation in April on a possession of drugs conviction. 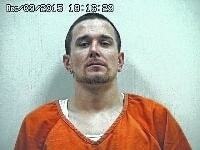 * Theodore Britt, 26, Galion, was sentenced to seven months in prison after pleading guilty to possession of drugs, a fifth-degree felony. He must also pay a $1,250 fine, forfeit all drug-related property to the Galion Police Department and his driver’s license was suspended for six months. * Heath Davis, 29, Crestline, was sentenced to nine months in the county jail and five years of community control after pleading guilty to one count of theft and three counts of the misuse of credit cards, all fifth-degree felonies. Heath, who is not prison-eligible, was placed on community control. He also must also pay a $750 fine and restitution in the amount of $337.56 to the victim in the case. If Davis fails on community control, he could end up serving up to four years in prison.